…and now let me tell you the story behind it! I am not afraid of paint or paint brushes but for some reason cakes make me nervous. It is not the cake itself the part that I struggle with but to make the cake pretty. and fondant and my kids don’t get along since they don’t like the flavor. and that on the other hand the frosting could be covered so it would not show my lack of skills. 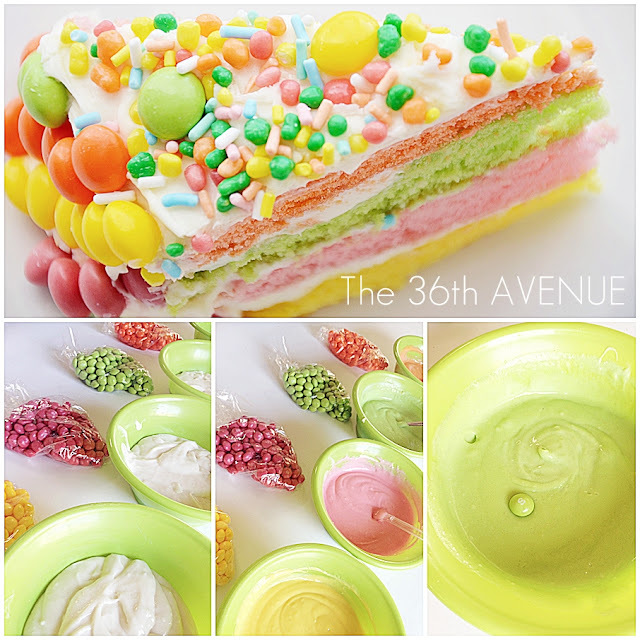 I wanted to make Anni’s cake as special, bright, fun, happy and colorful as she is. I was so happy when I found the perfect inspiration for the cake here. 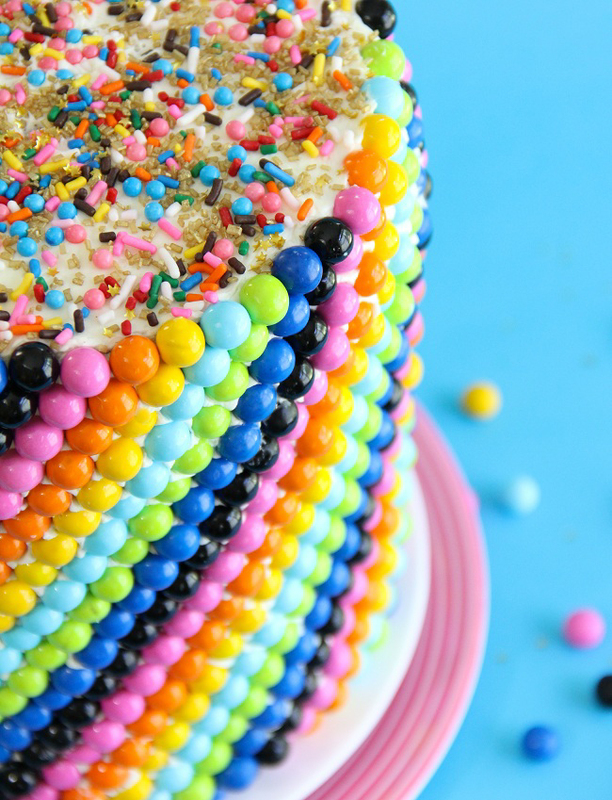 Look how FUN this Sixlets Cake by Heather from sprinklebakes.com is! …Anyways back to the cake! 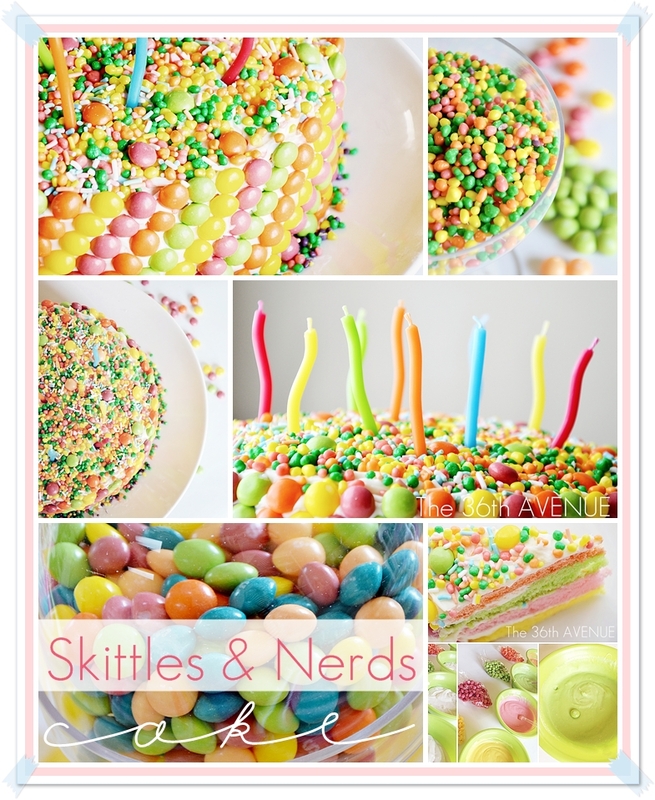 Skittles were the perfect touch for Anni’s cake and for the theme of her birthday party! If you are a follower of my blog you know by now that I am a color freak! This picture illustrates my point. I know… I am crazy! I have for you how many drops of color you need to match your Skittles. I use a regular white cake from a box following the instruction that uses egg whites only. After mixing the ingredients divide the batter in 4 cups. Use each cup for a different color. These are the measurements for each cup. For the sprinkles we used Nerds. My Mimi took care of the purple ones for me since all we needed were the other colors. With the cake made it was time to have a party as colorful as colorful could be! Together with the cake we had cupcakes. I found these super cute ones at Wal-Mart. They were 12 cupcakes for $6 and they baked them fresh for the day of the party. I want to thank and give credit to Bloom Design for carrying these wonderful party accesories. 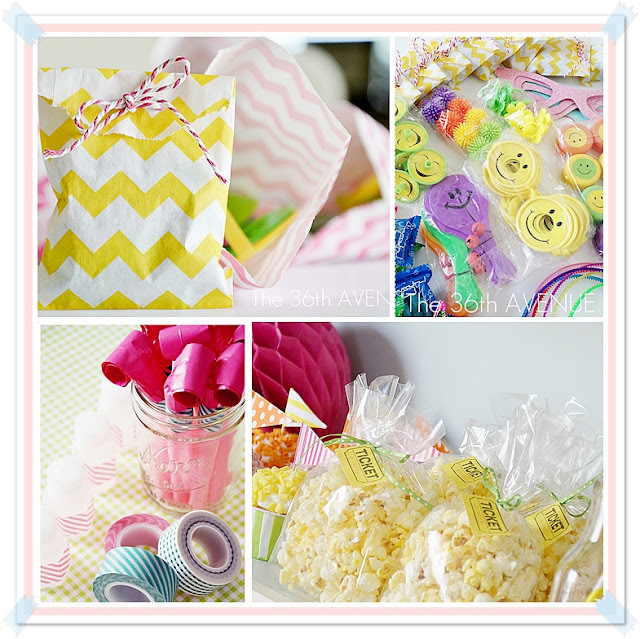 The straws, the candy and cupcake cups and the super cute party bags came from Jenny’s shop. I used a wire basket to hold the utensil, paper plates, napkins, straws and extra cups. that way you can save money and space. What is a party without drinks! For party favors we kept the crazy color theme going. Washi Tape to give dollar store items a new look. …May all your wishes my sweet Anni come true! love how u ‘dyed’ the cake layers to match the decorations of the cake. 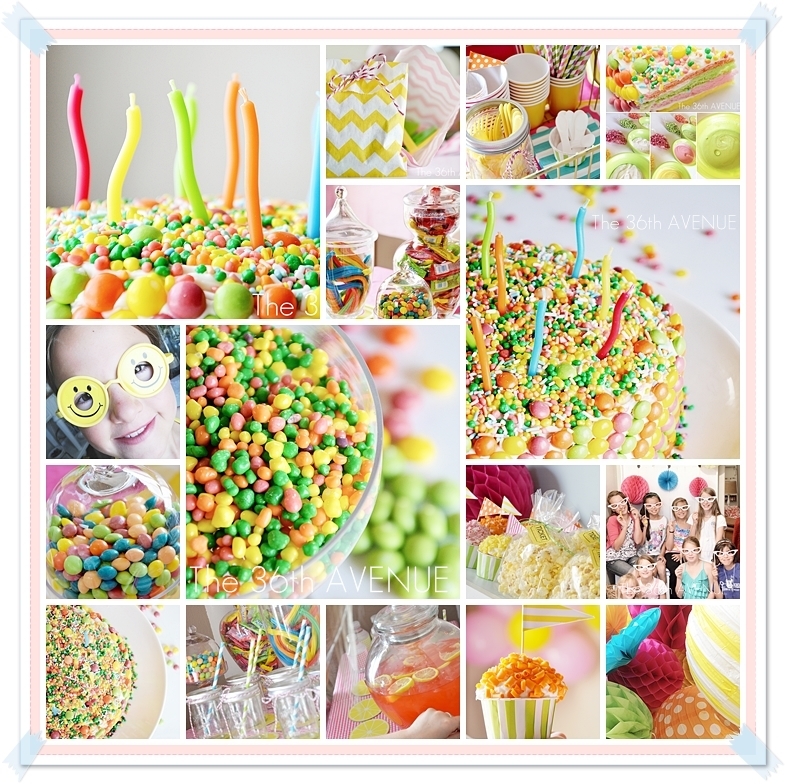 What an amazing party and your photos are stunning! YUM!!!! Im a candy freak so this is right up my alley. I love it. It would be awesome if you shared this with my readers at Show Off Mondays on Kampen Lane. The cake looks awesome! And the party looked like fun! So bright and cheerful! And I love the matching of the skittles colors! I might have to make something like this just for fun! Thanks Desiree for the sweet mention. The party is adorable. You did such a great job. Love all the colors and details. !